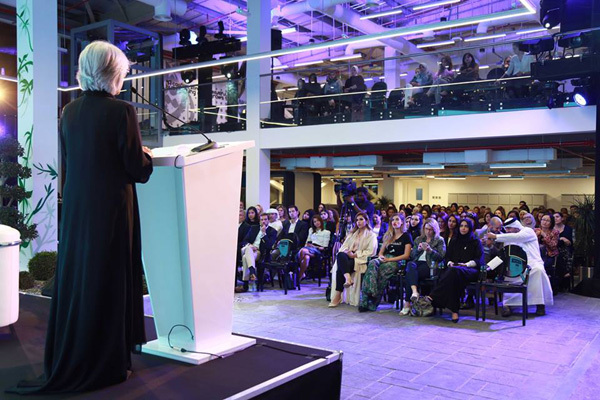 Abu Dhabi-based incubator Krypto Labs hosted prominent female Emirati and international role models and influencers at its Female Leaders Forum themed “Empowered and enlightened female entrepreneur of tomorrow”. Hosted in partnership with Dubai Chamber 'Dubai Business Women Council' at Krypto Labs headquarters in Masdar City, the forum was also attended by Hafsa Ulama, ambassador of the UAE to the Republic of Brazil. Dr. Saleh Al Hashemi, managing director of Krypto Labs, welcomed Ulama, panelists and prominent Emirati and international female business figures including Mariam Al Mheiri, chief executive officer of Media Zone Authority-Abu Dhabi and twofour54; Heather Henyon, partner in Mindshift Capital; AlReem Saif, celebrity influencer and entrepreneur and Elissa Freiha, co-founder of Womena. In his keynote speech, Dr Al Hashemi noted that 23,000 Emirati businesswomen are running up projects worth over Dh50 billion ($13.6 billion), and represent 15 per cent of the positions in the boards of chambers of commerce and industry nationwide. Al Mheiri addressed the challenges facing women in the business sector, including social environment where women are always in the minority in business and in executive roles. She also highlighted the need to form networks of communication and sharing among women in all economic and political sectors. The forum continued with a panel discussion on the overall issues of women empowerment and addressed the challenges facing women success in the entrepreneurial sector. The Female Leaders Forum was a perfect opportunity for like-minded Emirati and international female leaders along with Krypto Labs experts and executives to bond and address together the many compliant issues that require consideration. The panel discussion saw numbers of businesswomen and guests taking part in the panel discussion.